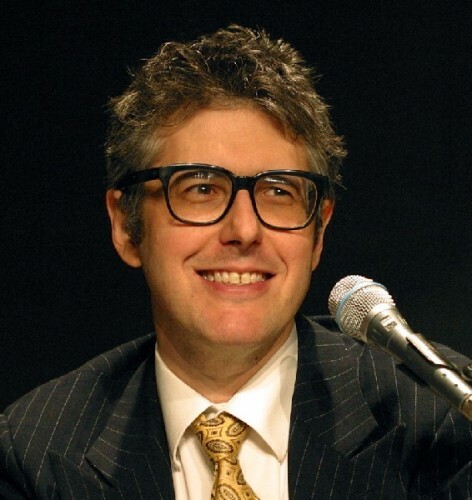 Ira Glass will converse with Michael Lewis. Arianna Huffington will be featured. The Y will channel Shirley MacLaine. Barrington Stage Company (BSC) and Knesset Israel (KI) continue the “Live from NY’s 92nd Street Y” Simulcasts at Barrington Stage with seven programs for winter/spring 2011. The popular satellite broadcast series brings lectures, interviews and readings from nationally and internationally recognized political figures, entertainers, newsmakers and authors to communities across the U.S. and Canada. As the exclusive host of “Live from NY’s 92nd Street Y” in Berkshire County, Barrington Stage Company will provide local audiences the opportunity to take part in discussions with some of the world’s most fascinating people. The “Live from NY’s 92nd Street Y” lectures will be broadcast to BSC’s Mainstage Theatre located at 30 Union Street in Downtown Pittsfield. 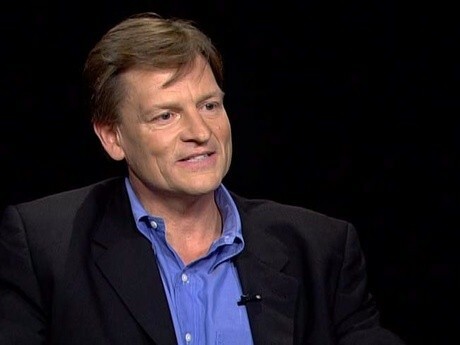 Michael Lewis discusses his best-selling book titled The Big Short: Inside the Doomsday Machine, what happened during the global financial crisis and what is being done to prevent a future collapse. Considered one of our leading journalists, he is the author of such best sellers as Liar's Poker, The New New Thing, Moneyball, The Blind Side and Home Game. Famous atheist and prolific author and commentator Christopher Hitchens and controversial scholar Tariq Ramadan debate one of the most pertinent questions of our modern age. Christopher Hitchens is the author of several books, the most recent of which is God Is Not Great. He is visiting professor of liberal studies at The New School in New York and a visiting fellow at the Hoover Institution at Stanford University , California . Tariq Ramadan is professor of Islamic Studies on the Faculty of Theology at Oxford University and author of What I Believe. Laurie Goodstein is the national religion correspondent for The New York Times. Please note: This event is pre-recorded. Arianna Huffington is the cofounder and editor in chief of The Huffington Post, a news and blog site that has become one of the most widely read and frequently cited media brands on the Internet. She is also a nationally syndicated columnist, a frequent guest commentator on the Sunday morning news programs and the author of 13 books, the latest titled Third World America: How Our Politicians Are Abandoning the Middle Class and Betraying the American Dream. In 2006, she was named to the Time 100, Time magazine's list of the world's 100 most influential people. Joseph E. Stiglitz is University Professor at Columbia University in New York and chair of Columbia University 's Committee on Global Thought. In 2001, he was awarded the Nobel Prize in Economics for his analyses of markets with asymmetric information. Stiglitz was a member of the Council of Economic Advisers from 1993 to 1995 and served as its chair from 1995-1997. He then became chief economist and senior vice president of the World Bank from 1997 to 2000. His latest book is Freefall: America , Free Markets, and the Sinking of the World Economy. Fareed Zakaria is host of “Fareed Zakaria GPS” on CNN, editor at large at Time, and a regular columnist for the Washington Post. In naming him “one of the 21 most important people of the 21st century,” Esquire magazine described him as “the most influential foreign policy adviser of his generation.” Before joining Time, Dr. Zakaria was editor of Newsweek International, overseeing all the magazine's editions abroad from 2000 to 2010. He is the author of a national best seller titled The Post-American World. America's favorite hostess will talk with writer Anna Quindlen about her successful ventures in retail, television and publishing as well as her life as a mother, wife and home cook. Her newest book is Barefoot Contessa: How Easy Is That? Fabulous Recipes and Easy Tips. Quindlen's books have appeared on fiction, nonfiction and self-help best-seller lists, and her columns in The New York Times and Newsweek have won journalism's most prestigious awards, including the Pulitzer Prize. Her most recent novel is the New York Times best-seller Every Last One. Shirley MacLaine talks about her life lessons and what she wants to impart to the world. 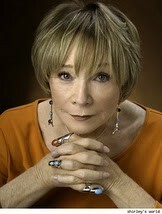 MacLaine is an Oscar, three-time Emmy and 10-time Golden Globe-winning actress. She has appeared in more than 50 films and has been nominated for an Academy Award six times, winning Best Actress for Terms of Endearment. She is the author of 10 international best sellers: Sage-ing While Age-ing, Out on a Leash, Don't Fall Off the Mountain, and most recently, I'm Over All That (And Other Confessions), in which she surveys her life and universe and shares her opinions and insights. Howard Gardner is the John H. and Elisabeth A. Hobbs Professor of Cognition and Education at the Harvard Graduate School of Education. He was selected by Foreign Policy and Prospect magazines as one of the 100 most influential public intellectuals in the world. The author of 25 books, including, most recently, Truth, Beauty and Goodness Reframed: Educating for the Virtues in the 21st Century. David Brooks is an Op-Ed columnist for The New York Times and an acclaimed author. All programs will be broadcast live via satellite from the 92nd Street Y in New York City with the exception of Christopher Hitchens & Tariq Ramadan Debate: Is Islam a Religion of Peace? which is pre-recorded. The live simulcasts will be interactive experiences, as audience members will have the chance, during the live event, to submit questions to the speakers via email.
. Barrington Stage Company’s Box Office and Mainstage Theatre are located at 30 Union Street in Downtown Pittsfield. Barrington Stage Company and Knesset Israel ’s presentation of the series is made possible in part by the Dorothy and Carl Wildman Endowment. Barrington Stage Company, a professional award-winning Equity theatre located in the heart of the Berkshires in Pittsfield , MA , was co-founded in 1995 by Artistic Director Julianne Boyd . Barrington Stage’s mission is three-fold: to present top-notch, compelling work; to develop new plays and musicals; and to find fresh, bold ways to bringing new audiences into the theatre—especially young people. Barrington Stage garnered national attention in 2004 when it workshopped and premiered William Finn and Rachel Sheinkin’s musical hit The 25th Annual Putnam County Spelling Bee, which later transferred to Broadway’s Circle-in-the-Square Theatre where it played more than 1,000 performances and won two Tony Awards. In 2009-2010 Barrington Stage produced the world premiere of Mark St. Germain’s Freud’s Last Session, which later moved Off-Broadway to the Marjorie S. Deane Little Theater where it resumed performances on January 14. For more information, visit barringtonstageco.org.